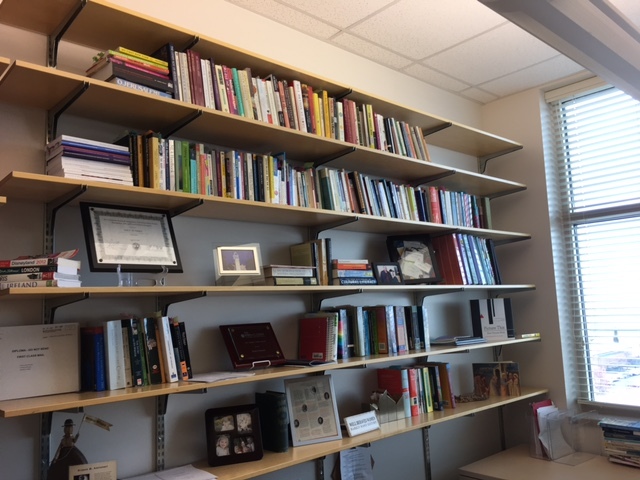 Office – The Bookshelf of Emily J.
I recently began work as a visiting assistant professor at a new university. I’ve finally settled into my office. 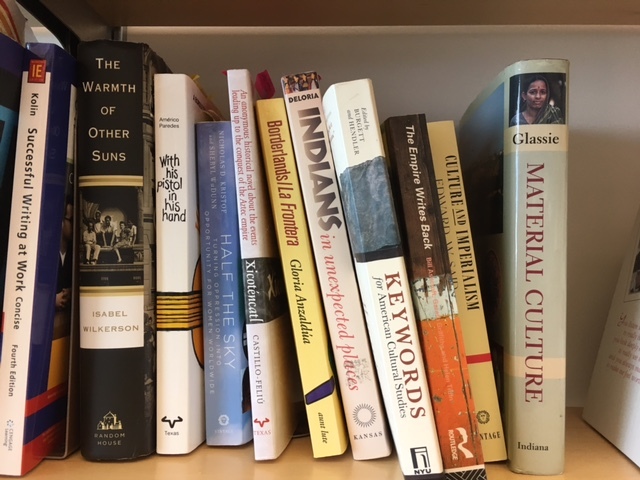 My books surround me, and I love the feeling of it. Here is my favorite section of the shelf. It seems timely. I like being surrounded by books. Nice! And the best part is all that empty shelf space with such potential! I have shelf envy. 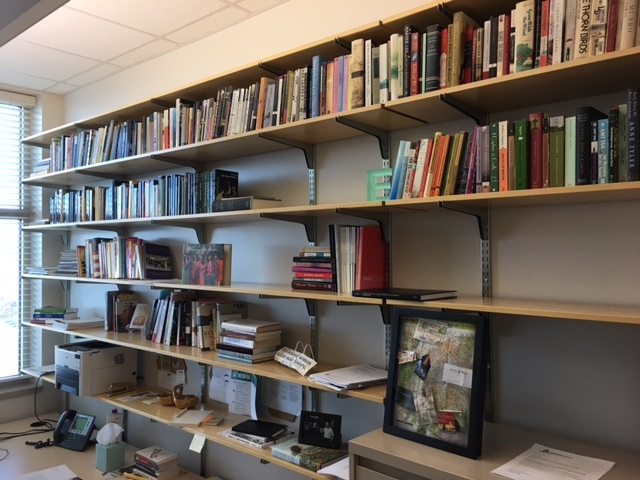 How fun to set up a new office and arrange all your books! Congrats on your new job too, that’s the second best thing after the shelf space. Yep. Agreed. Arranging the books and having the space was much more awesome. Great shelf and great sounding job. “Sighs” remembering a lovely room at university where I used to have great debates with fellow students about literature! Sigh. I am sighing for you (and me). I need more of those types of meetings. So what are you teaching? I am in good company here! Thanks! Congratulation!!! I like your position. Hello,🙂 I am also new blogger, thank you so much for the valuable tips. I’m thinking to review about all products, mainly I write about language, daily, family, travel. Good luck with your new blog. It sounds like you have some exciting topics! Ha ha! That makes sense. Moving books is a pain. Good luck on your position. Life is a juggle!